Currently we have two First Lego League teams. 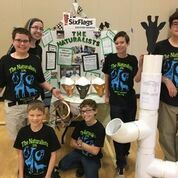 To learn more about First Lego League, click here. 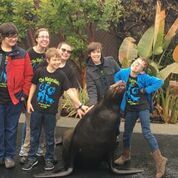 Our "Naturalists" team recently returned from a project at Six Flags Discovery Kingdom in Vallejo, CA! Here's a summary of their project. 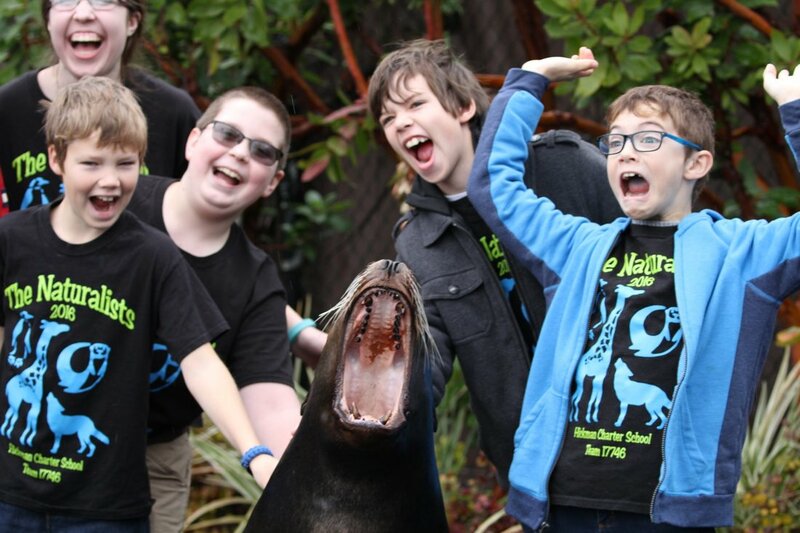 the plight of these animal ambassadors. 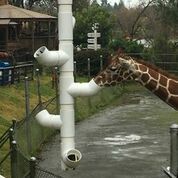 In a zoo environment it is critical to keep animals stimulated with enrichment that encourages natural behaviors, prevents boredom, and keeps the animals active and engaged. At times an outside perspective can help to create new and exciting activities for the animals. 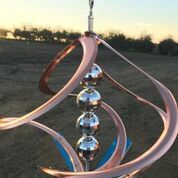 Our team partnered with Six Flags Discovery Kingdom in Vallejo, CA to develop new enrichments for the wolves, giraffes, penguins and otters. For each species we talked with trainers and researched online the traits that we could stimulate. 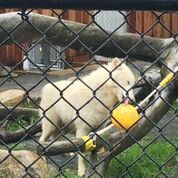 For the wolves we decided to use movement and smell by attaching a ball to a bungee cord that would dispense treats as it bounced around. The giraffes spend most of their day foraging for food. Instead of placing it in a bucket we designed a feeder so they would be required to search for their food. 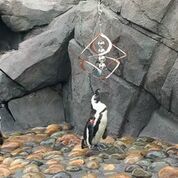 Penguins are attracted to moving light; we developed a wind powered disco ball that would entertain them. 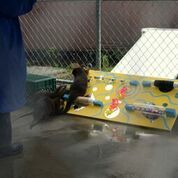 The trainers explained that the otters were similar to toddlers so we thought that a board with movement and toys would be a hit. 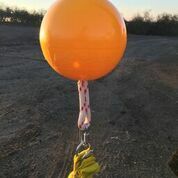 We were able to be with the trainers at Six Flags Discovery Kingdom when the enrichment items were introduced to the animals. All of the animals enjoyed their new entertainment. 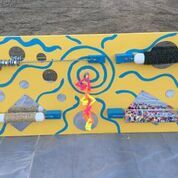 In addition to these activities we were able to inspire the trainers to create new items for these and other animals as well as the creation of an Enrichment Committee to increase the enrichments across the park. Working with our team was such a positive experience for the staff that they are revitalizing the Education Committee and our team was invited back to create more enrichments and help with a new upcoming reptile show.